Grub Street hails it as “one of the most impressive desserts in New York.” Food Republic calls it “NYC’s best cookie.” The twist? 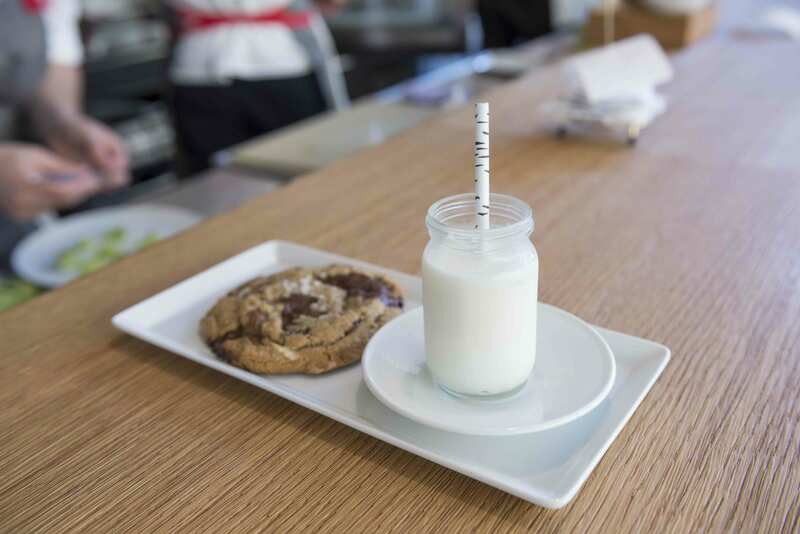 The acclaimed chocolate chip cookie at Danny Meyer’s Untitled restaurant at the Whitney Museum is entirely gluten-free. 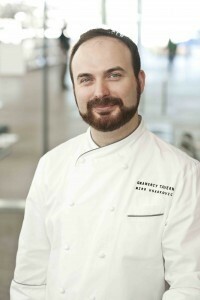 Pastry Chef Miro Uskokovic. Photo: Melissa Horn. The cookie was born when pastry chef Miro Uskokovic took it upon himself to make the ultimate chocolate chip cookie. “When it comes to chocolate chip cookies, I have my preferences but understand that others enjoy a crunchy cookie experience. So I set myself to the task to create a cookie that combined my preference for a soft, gooey interior and a toothsome, crunchy exterior. We played with varieties and ratios of sugar and butter, and settled on a combination of brown and white sugar with clarified browned butter—the result was wonderful,” Uskokovic says. Then, to see if the cookie could be made gluten-free on special request, he tested the cookie with Thomas Keller’s Cup4Cup gluten-free flour. The result? The staff actually preferred the GF version. “It was remarkable to see a gluten-free dessert getting so much love over a traditional recipe,” Uskokovic says. The cookie costs $8 and comes with a glass of Madagascar bourbon-infused milk. For a more cost-effective snack, stop by the museum’s Studio Cafe and grab the cookie (sans milk) for $4. And good news for gluten-free New Yorkers: Grub Street reports the cafe eventually plans to sell the cookie to go.